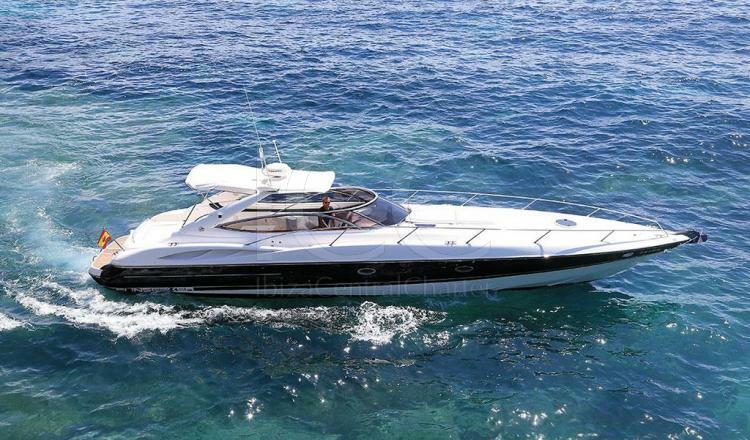 Sunseeker Superhawk 48 invites you to discover the Pitiusas sailing on a sporty style yacht able to reach 45 knots at maximum speed. 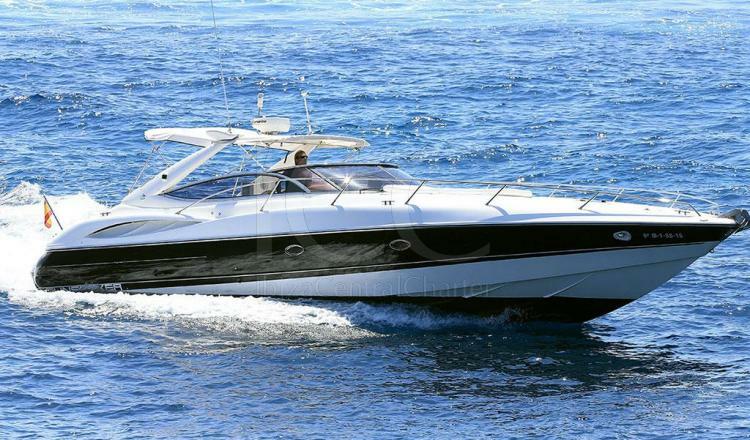 The Sunseeker Superhawk 48 is the perfect combination of exclusive design and speed. 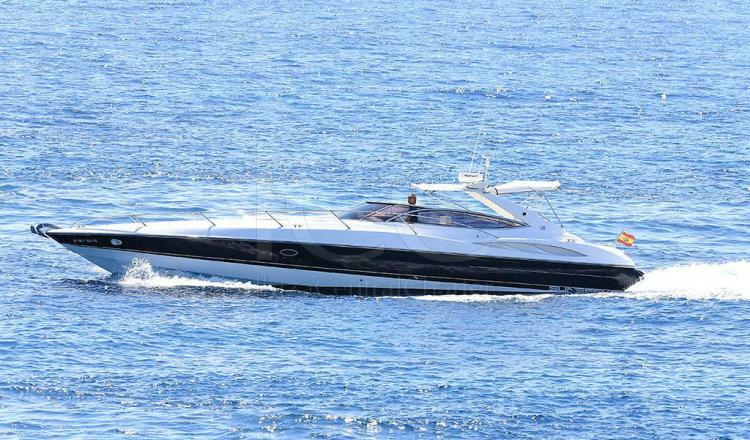 Being one of the fastest and most spectacular motor yachts of the Sunseeker shipyard with a sporty style it is capable of reaching 45 knots of maximum speed and a cruising speed of 28 knots thanks to its three 275 HP Volvo engines. 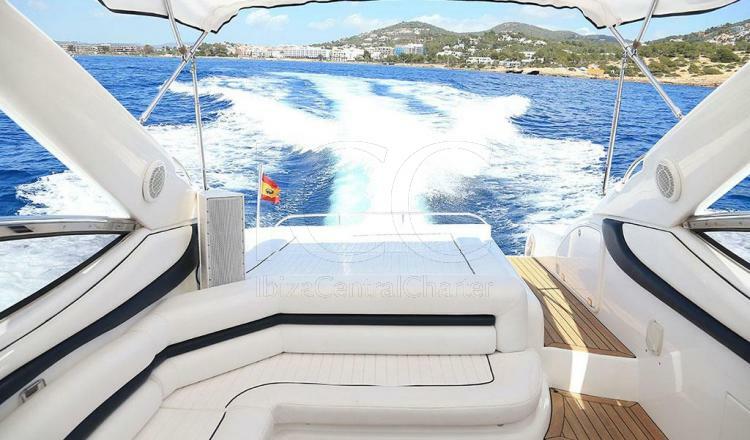 In its almost 15 meters in length it provides enough space for up to a group of 9 people to enjoy an exceptional holiday in the islands of Ibiza and Formentera. 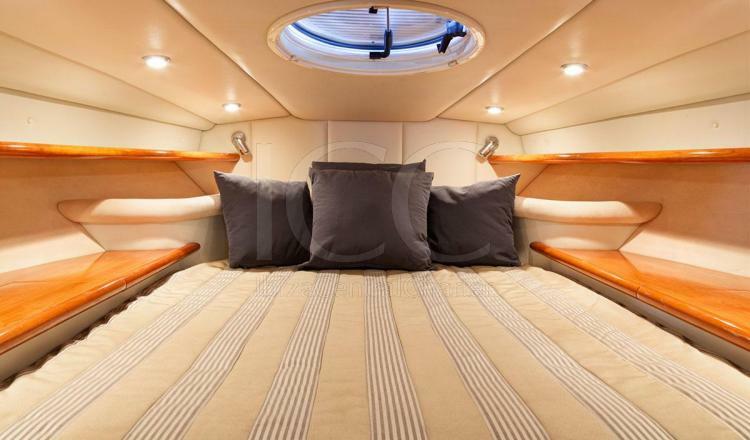 Once on board, it offers wide and comfortable rooms. 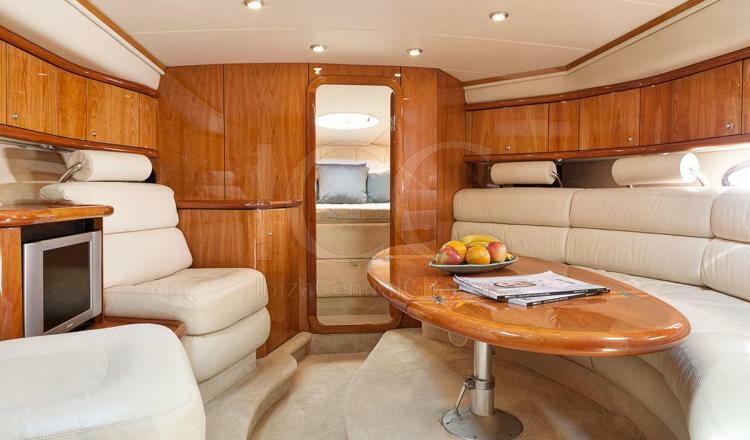 Its interior combines beige with wood that gives the boat an elegant and cozy atmosphere. 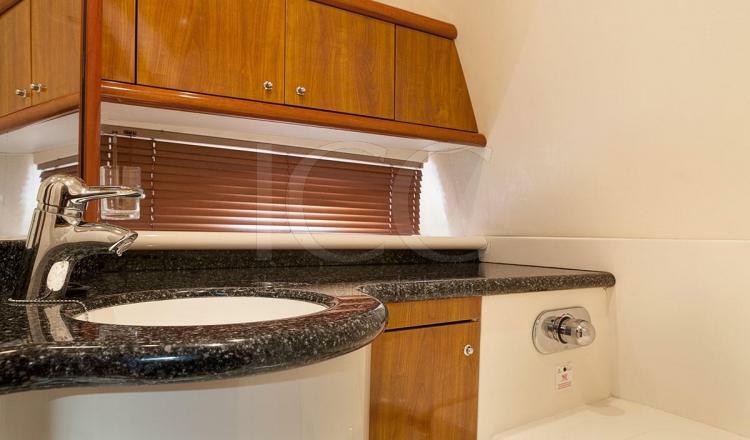 This yacht hides a main cabin with a double bed and a nice living room with television and equipped with kitchen, as well as having a toilet. 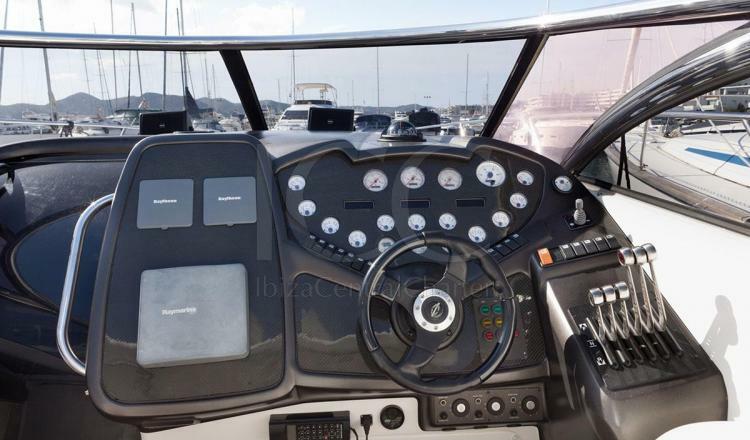 It has an extra on board: a special 220V HighEnd DJ Equipment Sound System. 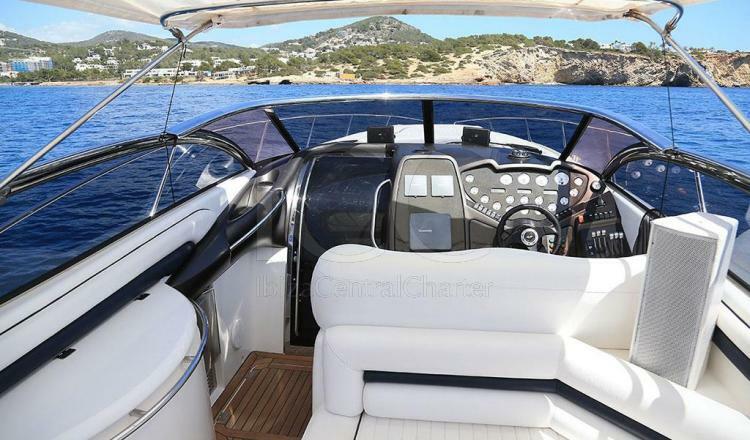 The entire interior has air conditioning. 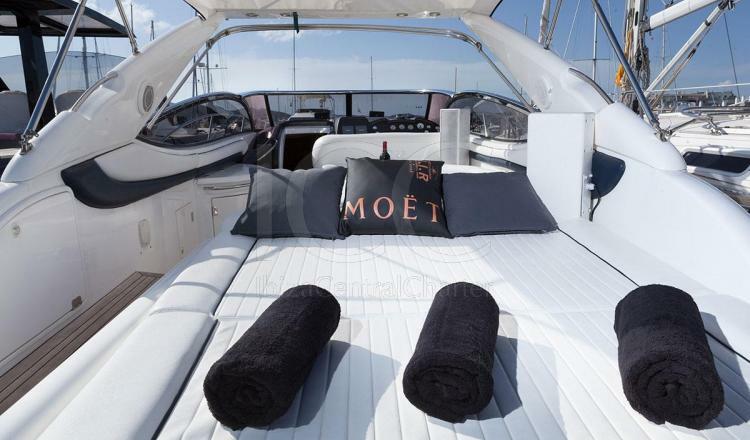 Passengers can enjoy a comfortable bathtub with two sundecks, one in the bow and one in the stern. 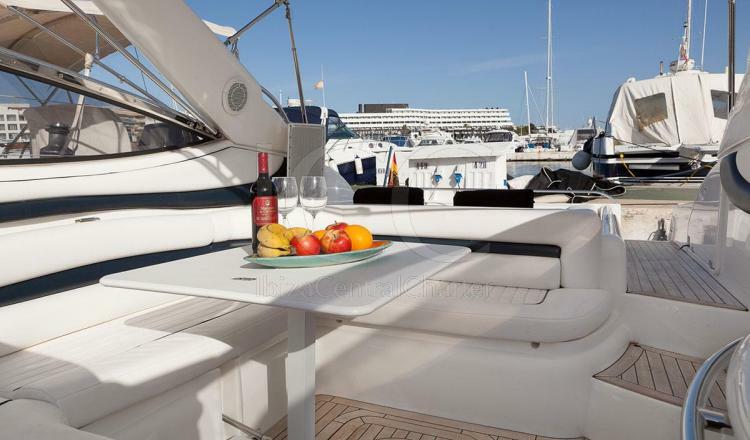 In the aft area we also find U-shaped sofas with an outdoor table ideal to enjoy a summer snack as well as a wet bar. 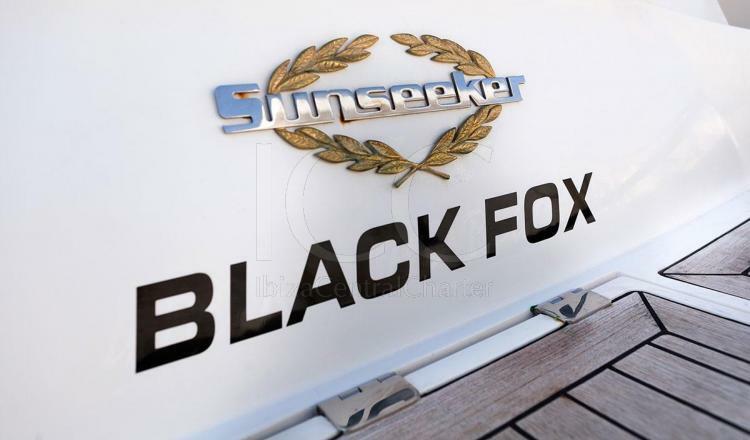 Black Fox is the sporty design boat that offers comfort on board as well as good features during the ideal navigation to explore the islands of Ibiza and Formentera from another perspective. - Water and soft drinks. 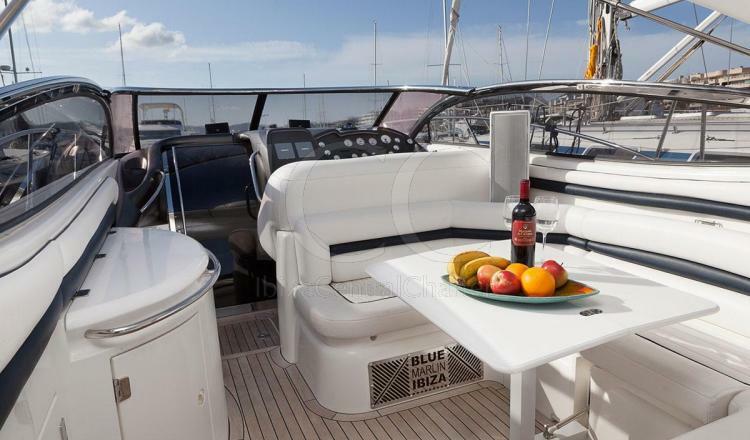 EXTRA on board: special 220V HighEnd DJ Equipment Sound System. 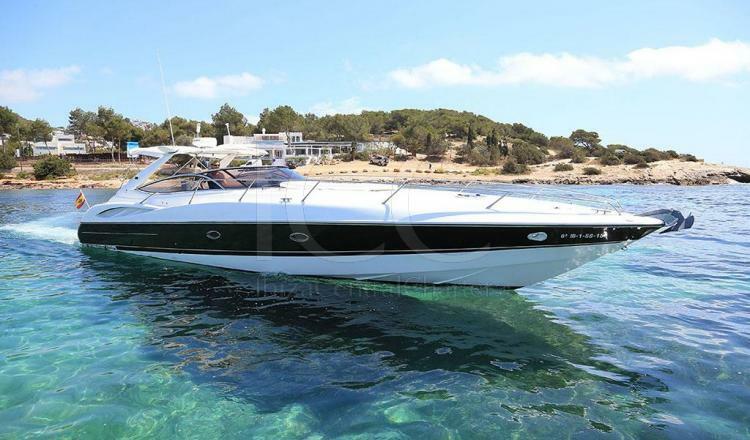 50% in the reservation by bank transfer, 50% one month before boarding. Average departure time starts from 11:00 am. The charter time is between 8 and 9 hours.